Canned Pears in Vanilla Brandy Syrup – Got Nourishment? My second time canning was a success! Definitely not perfect and I’ve learned some good tips for next time, but overall quite tasty. I put off my canning plans for a few days because I was nervous that I would somehow contaminate the jars or I wouldn’t process the jars correctly. 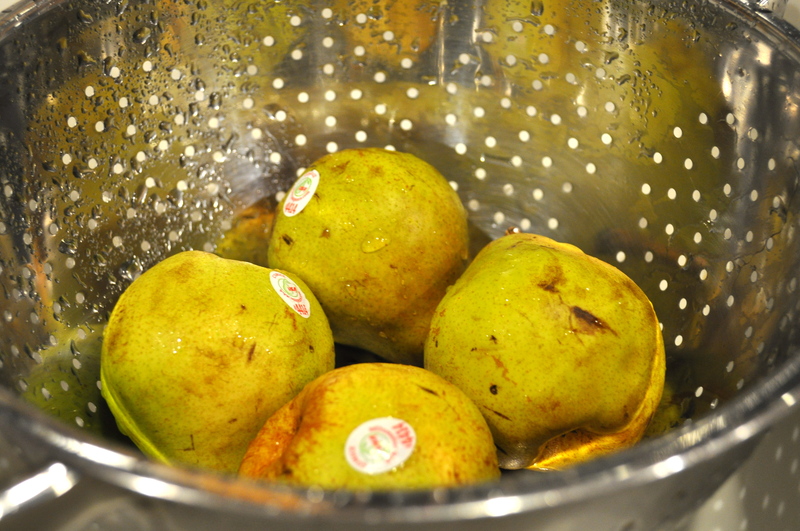 Because of this, my pears were slightly too ripe and ended up a little softer than planned. Note taken! And I ended up having nothing to worry about. 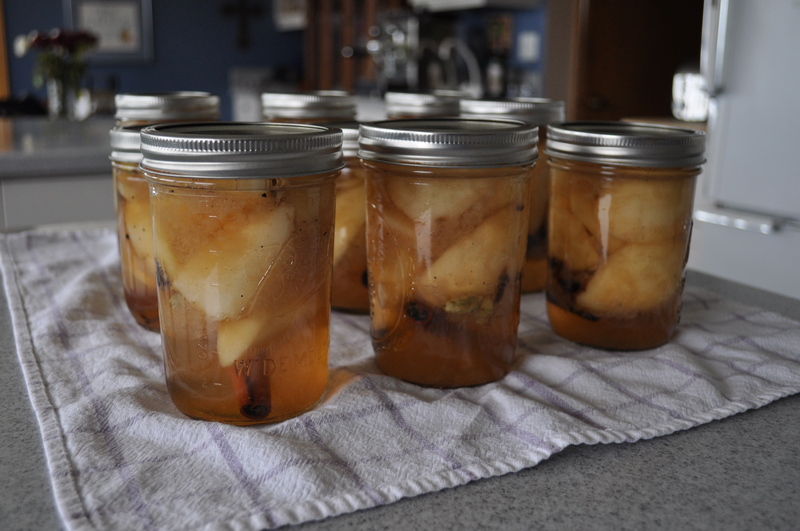 Despite the canning water randomly boiling over several times and a few slippery pears flying across the kitchen, the whole process went quite smoothly. The sweet, vanilla syrup perfectly complements the brandy and warming spices. This syrup paired with fresh, juicy pears is a recipe for success. Serve these pears over vanilla ice-cream, as a sweet treat by themselves, mixed with plain yogurt, or even on top of your morning oatmeal! Lemon juice and water to prevent browning. 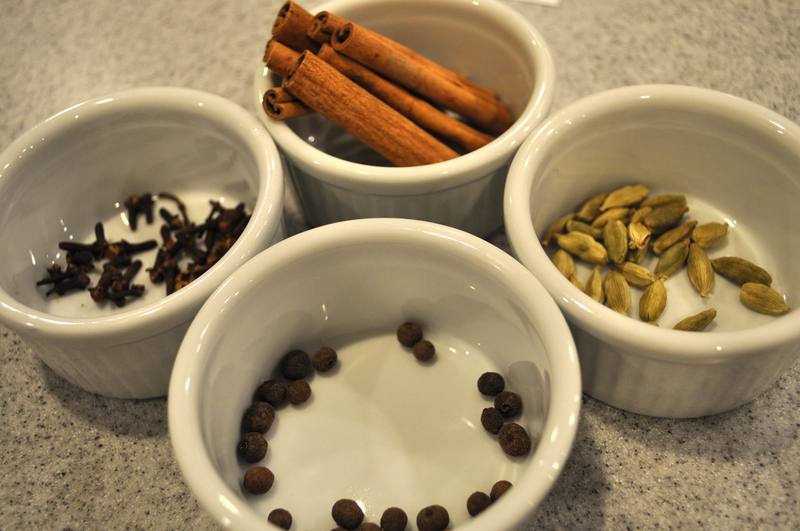 Cinnamon sticks, cloves, allspice berries, and cardamom seeds. Prepare the jars and tops for canning. Mix the lemon juice into a large bowl with cool water. Peel, quarter, and core the pears. To prevent browning, submerge the cut pears into the bowl with lemon juice and water. Mix the sugar and water in a large stock pot and bring to a boil over medium heat, stirring until sugar has been dissolved. Reduce heat to low and add the scraped black seeds from inside the vanilla bean pod and the halved vanilla bean itself. Keep simmering until thickened (about 12-15 minutes total). 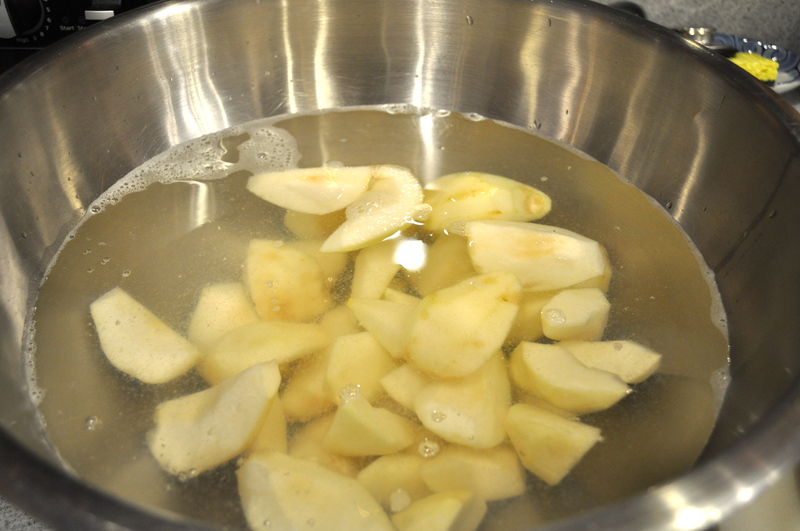 Add pears to sugar syrup and cook over medium low heat for 5 minutes, until the pears are heated through. Fish out the vanilla bean halves from the syrup and cut each half into 4 pieces, tucking a piece into each hot sterilized jar. Add about 1/4 teaspoon spices, if using, to the bottom of each jar. Place the pears (not the syrup) into the jars, leaving 1/2 inch headspace. Remove syrup from heat and add the brandy and vanilla extract. Stir well. Ladle the syrup over the pears in the jars leaving 1/2 inch headspace. Remove air bubbles. Wipe rim. Center lid on jar. Apply band until fit is finger-tip tight. 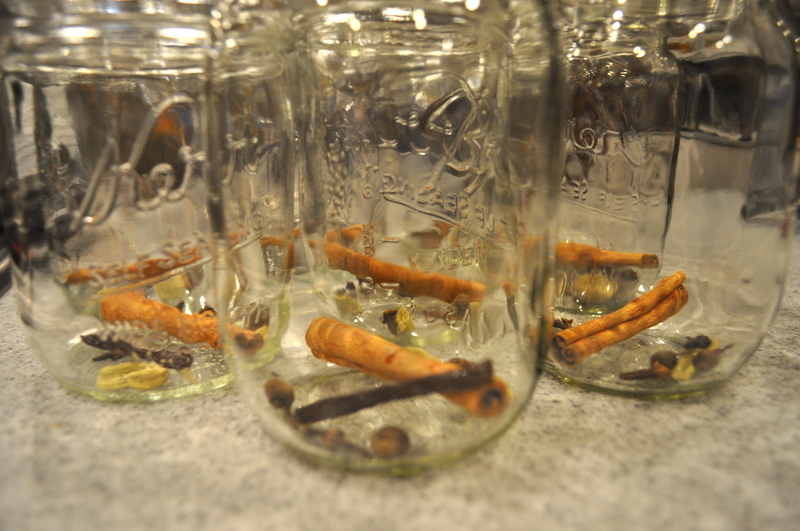 Turn off heat and wait 5 minutes before removing jars to cool. Place jars on a cooling rack or a towel. Check lids for seal after 24 hours. Lid should not flex up and down when center is pressed. **You don’t need any fancy equipment! A large pot of boiling water will do! Just make sure you put something on the bottom so your jars don’t sit directly on the bottom of the pot. The flavor is fabulous!! They are very soft however. My mom suggested not heating the fruit in the syrup beforehand. Back in the 40’s -70’s when she was canning regularly they just put the fruit in the jars and poured boiling syrup in then process.